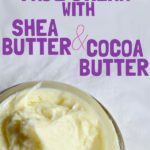 DIY Remedy: Shea Butter for Knee Pain Balm Recipe - beautymunsta - free natural beauty hacks and more! Knee pain refers to inflammation and pain in and round your knee. Knee pain could be caused by a lot of things – a strenuous exercise, a long walk or could be a form of a medical condition. Whatever the cause of your knee pain may be, the pain is definitely not palatable. If you suffer any form of knee pain, natural products like shea butter could serve as a relief for you. Simply apply a generous amount of shea butter to the knee, the massage it gently for it to sink in. However, kindly note that it may take a few hours – maybe even a day before the effect of the applied shea butter is felt, depending on the severity of the pain. 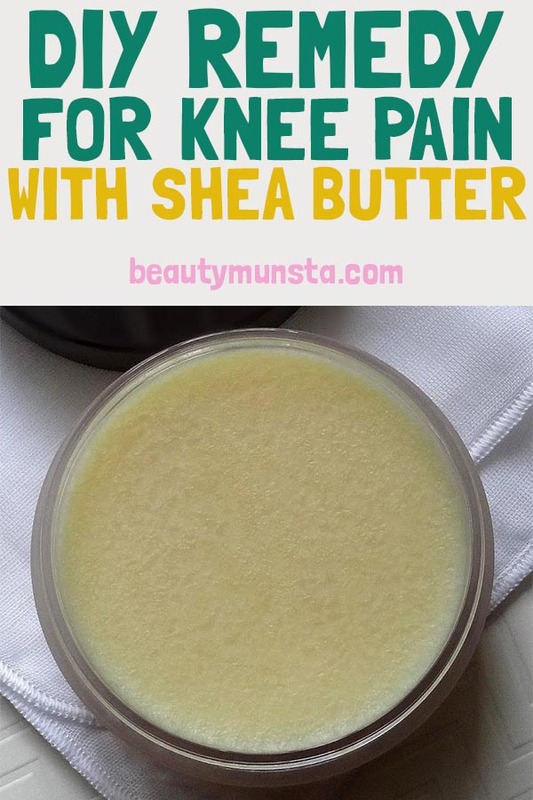 Keep applying shea butter every 3 – 4 hours to get knee pain relief. 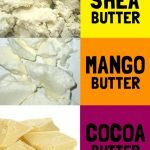 Shea, Mango and Cocoa Butter & Which is the Best? While shea butter could provide a relief to a sufferer of knee pain, not all forms of shea butter for knee pain works. Refined and processed shea butter, with all its goodness stripped, will not have much healing effect. For the knee and other joint pains, it is recommended that you use organic and unrefined shea butter. This is so because only organic shea butter has all its anti-inflammatory and medicinal properties retained. Get an unrefined shea butter that is both firm and dense. Another reason why shea butter for knee pain is effective is because it has the ability to ease stiffness and relax muscles. 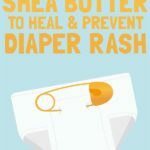 Raw shea butter can be applied on the knee or the shea nut oil can be taken orally. 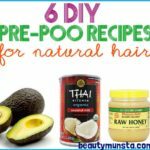 4 tablespoons of sweet almond oil, sunflower oil or any other carrier oil of your choice. Transfer the shea butter and beeswax in the heat safe glassware, place it over a low to medium heat source and allow it melt. Next, add the carrier oil of your choice to the mixture then stir thoroughly with a whisker or any other mixing device. Turn off the heat source and allow the mixture to cool down for some 20 – 25 minutes. Add all the essential oils to the mixture then stir again. Your do-it-yourself knee pain balm is ready for usage. Apply the balm by rubbing it over your knee. 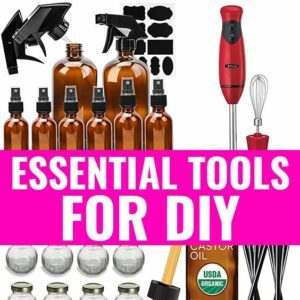 You may as well apply it to other parts of the body where the joints are sour or painful. However, avoid contact with the eyes because the essential oils present in the bar may irritate your eyes. Shea, Mango and Cocoa Butter – Which is the Best?